Curled up with your favourite book, afternoon sun on your face, cup of coffee at your side. Already giddy from the thought of that perfect armchair, so weak at the knees you could collapse on to... well that armchair you really need in your home? Snap out of your reverie. First things first: you must work out if it will fit. Before you make your purchase, check your room measurements (however big or small) to make sure there is space. Newspaper or masking tape can help you visualise the size of furniture: mark out on the floor the area it will occupy. As well as fitting your new sofa, armchair or table in your room, you also need to make sure it will fit through the doorway when it is delivered. We have several pieces that come flat packed which helps. Make sure you still have enough space to walk around your room. Overcrowding can cramp and suffocate a room if the furniture is too large for the available space. When selecting a dining table consider the space required to pull a chair out to sit down. If you can leave about 50-100cm between the next piece of furniture or wall, then your friends and family will have ample space at your leisurely lunches and slow suppers. Australian sun. It’s no secret the rays are bright but damaging. 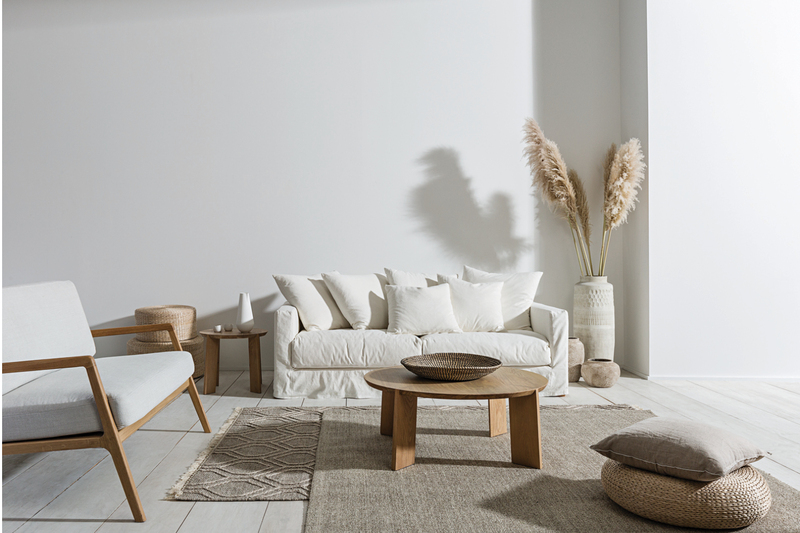 You’d protect your skin, so protect your furniture: it’s made from natural materials too. Direct sunlight, heaters and elements can all damage or prematurely age your pieces. Remember this in the placement of your new furniture.